For the second straight year, Northwestern slumped to a disappointing finish in the Big Ten Match Play Championship. In 2018, the Wildcats finished in 11th place in Palm Coast, Florida. This weekend, again at the Hammock Beach Resort in the Sunshine State, NU failed to live up to expectations. Despite starting as the No. 2 seed, the Cats failed to win their quarterfinal matchup or either of their consolation matchups, ending the tournament in eighth. In the quarterfinals Friday afternoon, NU faced off with Maryland, the No. 10 seed in the championship. The Terrapins were coming off a first-round victory over Minnesota and continued their hot play with a 4-2 win over the Cats. 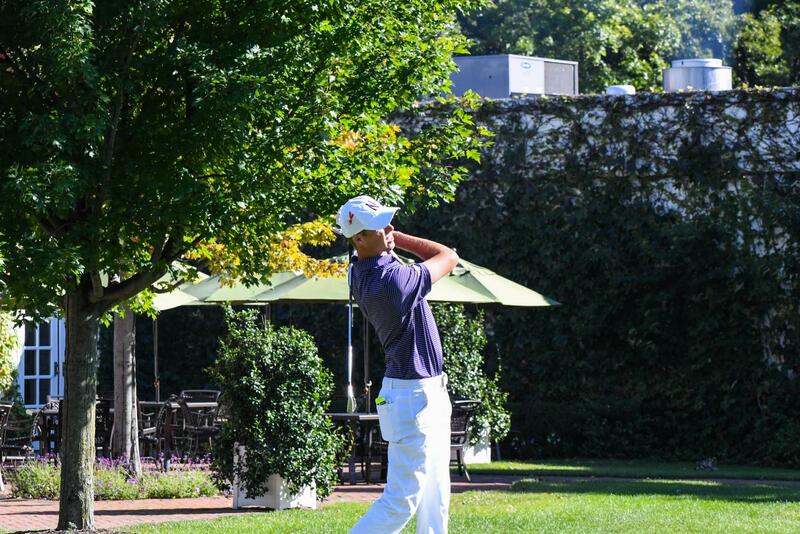 Maryland’s top two golfers, Peter Knade and Tim Colanta, were the difference makers. Knade and Colanta played an excellent round of golf and beat NU’s top two, senior Ryan Lumsden and freshman David Nyfjäll. Inglis said it is difficult to win a six-man match play game when the team’s top two linksmen fall in their individual contests. The Terrapins went on to advance to the championship game, where they lost to the No. 4 seed Ohio State. The Cats went to the consolation bracket. In the first round of that bracket, NU lost to Purdue, 4-2. In the next match, the Cats lost to Michigan State, 3.5-2.5. Junior Everton Hawkins won both of his matches, while Lumsden won against Purdue and sophomore Eric McIntosh beat his Michigan State opponent. While NU failed to win one of its three matches, Inglis said the team did win an unofficial match against Illinois on Friday morning. As the two top seeds in the tournament, the teams had no official match Friday morning so they played an exhibition instead. Inglis said Griffith’s play was a highlight — the senior went 2-1-1 in his four matches over the two days. Griffith said he felt confident about his game and wishes the team was more aggressive in attempts to notch birdies.